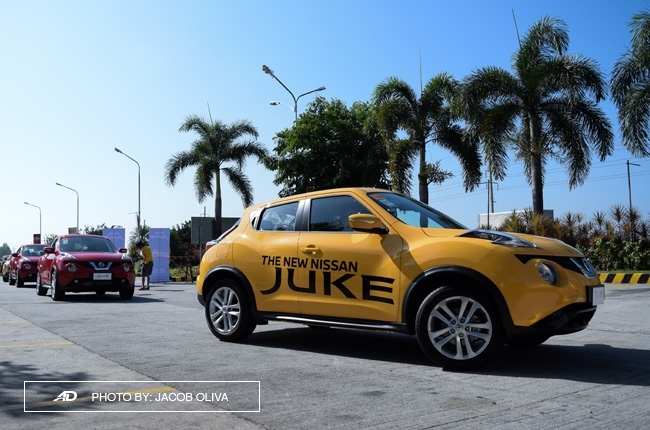 With the hashtag #BuiltToStandOut screaming on its boot window, the new Nissan Juke took us on a long 6-hour drive to La Union. And we have to admit – it literally made heads turn and stood out among the vehicles that can be seen on the road today. 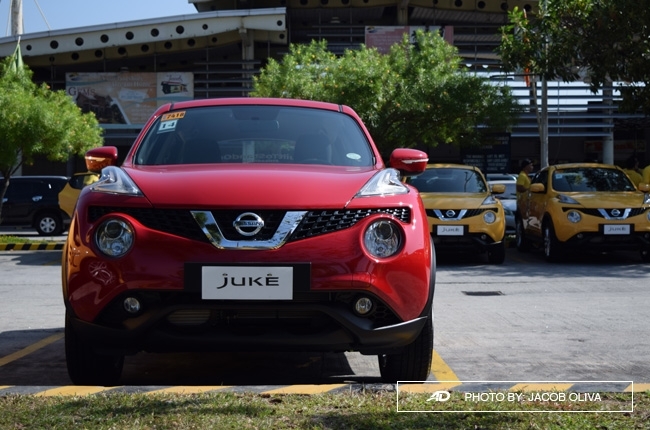 It's clear that Nissan Philippines, Inc. aims to bump the competition within the subcompact crossover segment by bringing in the Juke. And we think they totally nailed it. 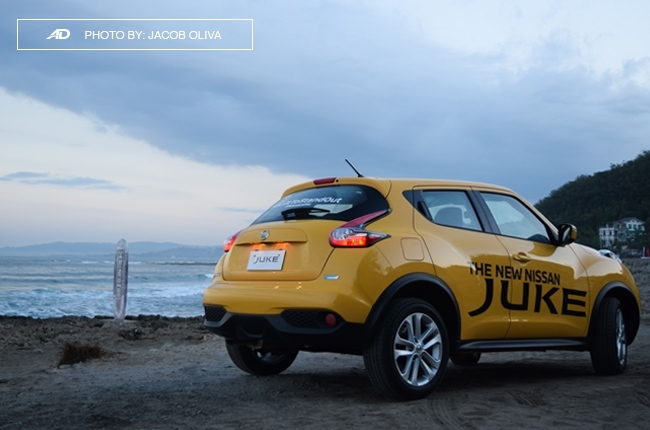 Its unusual exterior styling and bright color variants make the Nissan Juke an attention-grabbing machine. Right off the bat, you'll notice its curvy fascia. 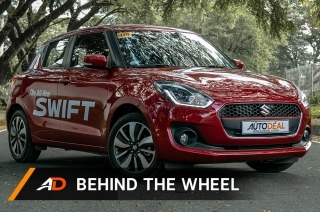 The bulging rear fender flares, hidden rear door handles, and the sloping roof towards the back gives it a coupe vibe. 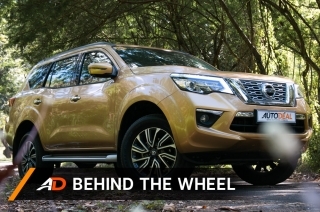 The round headlamps up front and the boomerang-shaped LED clearance lamps on top really stands out. 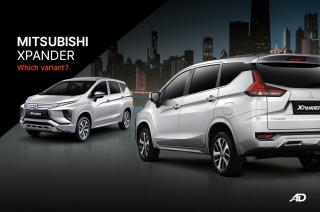 This is a car that can capture the hearts of people who wants something out of the ordinary. 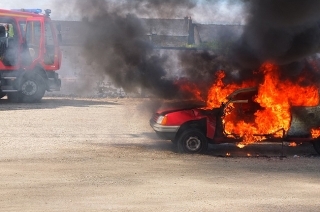 Thus, this author dubs it as a “quirky buggy”. 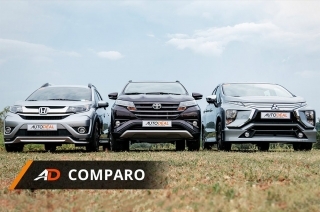 It’s cute, refreshing, and definitely exciting to drive. 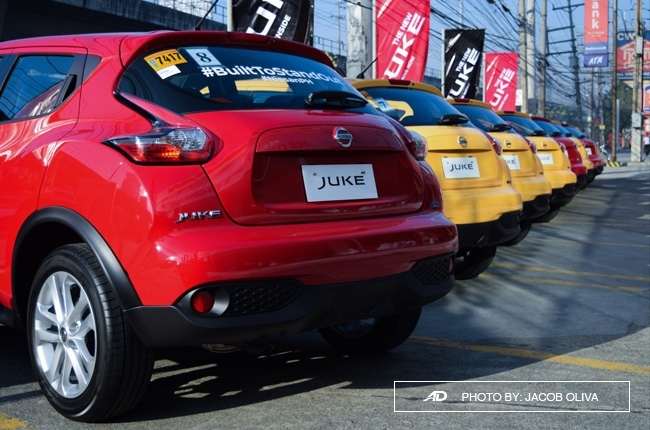 A total of 20 brand-new units of the Juke rolled out of Nissan North EDSA showroom, with bright color variants available such as Solar Yellow, Red Alert, and Pearl White. We're delighted to have been given the sunny one. 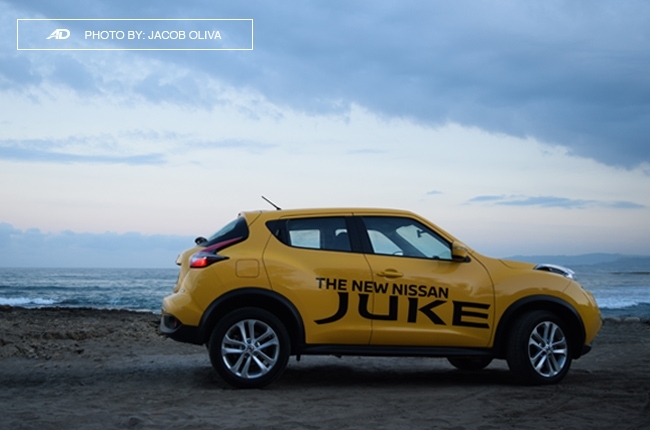 The Juke was easy and fun to drive. Inside, we're able to see all the corners of the vehicle specially out the back. 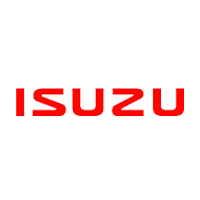 We also easily found the perfect driving position which is essential for long drives. And with its cruise control, we didn't have to worry about the speed limits of the 3 major expressways that we had to go through. 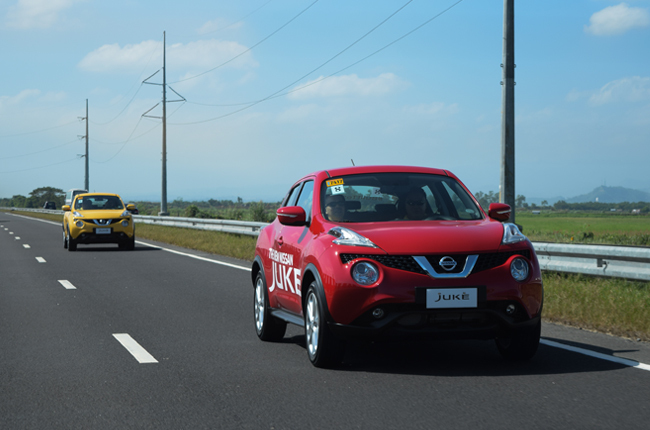 On provincial roads, the varying speed was smooth for the Juke thanks to its Xtronic Continuously Variable Transmission (CVT). 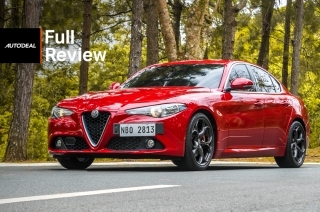 The pedals were responsive and while on Sport mode, you'll get the pull when you need it most. 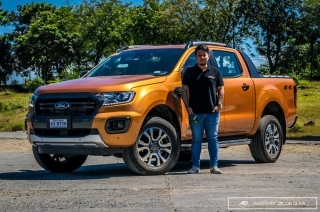 Although, a little more power from the 1.6L gasoline engine wouldn't hurt but what we had during the drive was just enough for a relaxing trip. The positive feeling when we reached the beaches of La Union makes it a perfect weekend getaway. 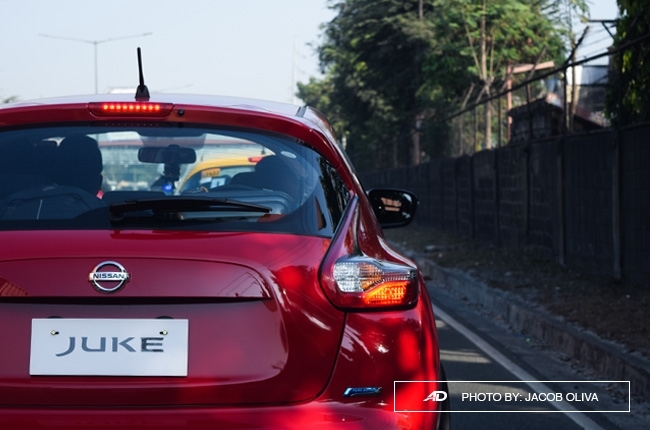 And just like the Juke, it was a breath of fresh air; away from the usual things that we have to go through in the city. 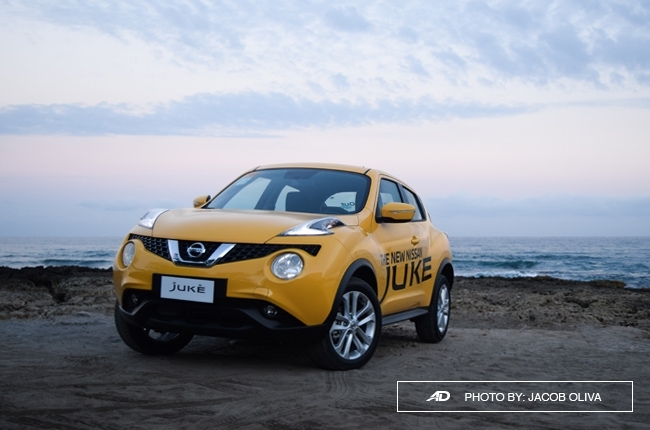 The youthful and pleasant vibe within the Juke's cabin was easily noticeable. 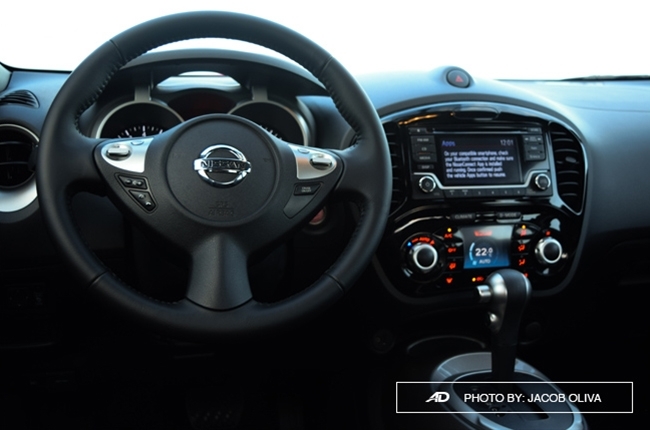 Almost all that you see on the dashboard were all round and curvy, which complements the exterior design. The instruments were all in orange hue; including the start/stop button and the multi-information LCD display between the legible gauge clusters. Though plastic trims were present, they didn’t feel cheap at all. 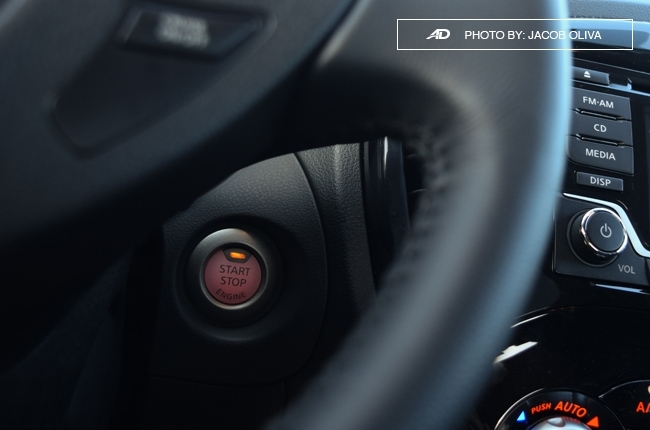 The Integrated Control (I-CON) System, which controls the temperature and the drive modes, was easy to use. 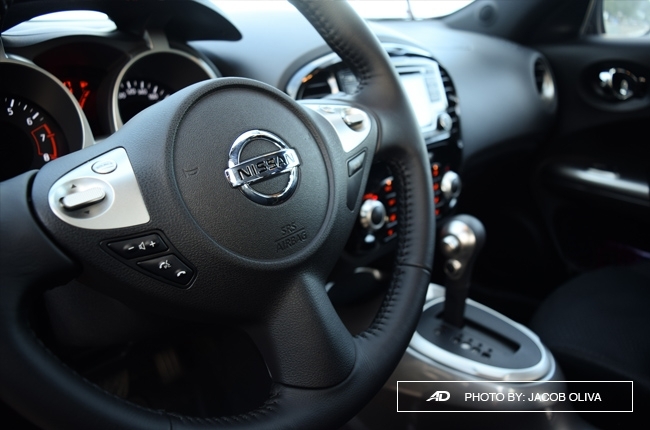 With a touch of a button, you can tailor fit your driving experience and your passengers' comfort. 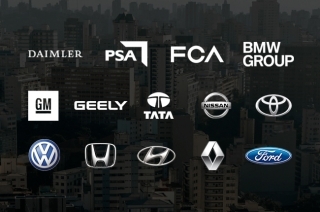 The 2-DIN head unit also serves as the display for the reverse camera. In case you would like to use it as your audio source, smartphones can be easily connected via Bluetooth. 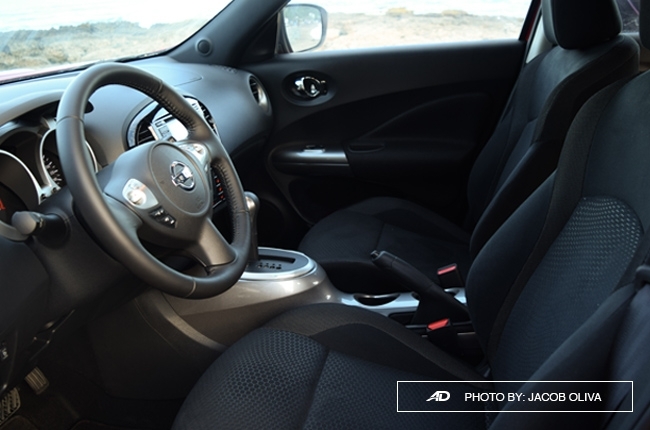 Given its size, you wouldn't really expect generous leg and headroom for the Juke. It has enough interior space to fit 5 averagely-built human beings. 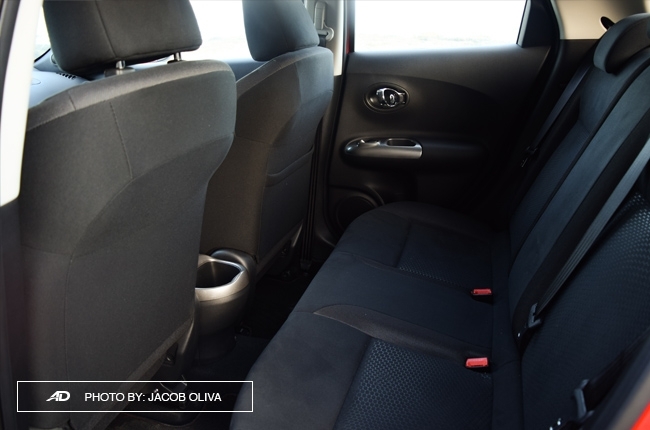 Although not roomy, the passengers’ comfort was not compromised with its soft fabric seats. 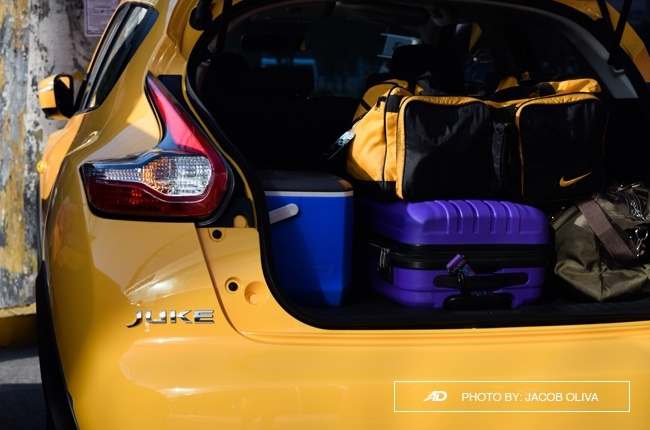 However, what's remarkable about the Juke is its 830L trunk capacity. We were able to fit a small cooler and 3 big luggage with enough room for one more. 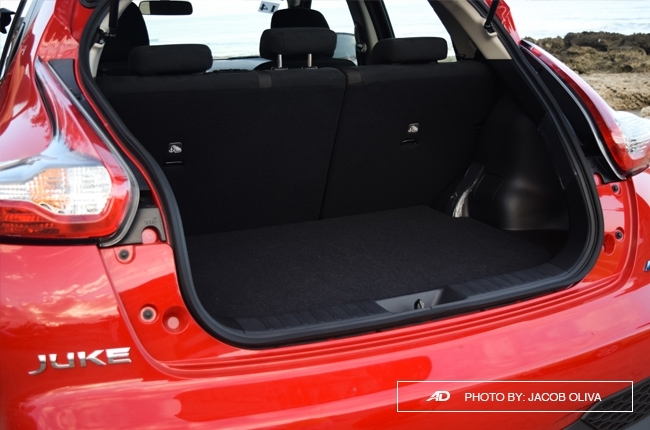 You can also further maximize the boot space by folding rear seats entirely or 60:40. 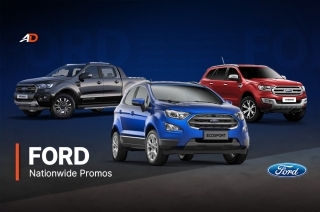 That's pretty handy for out-of-town trips or outdoor escapades that you might be planning. 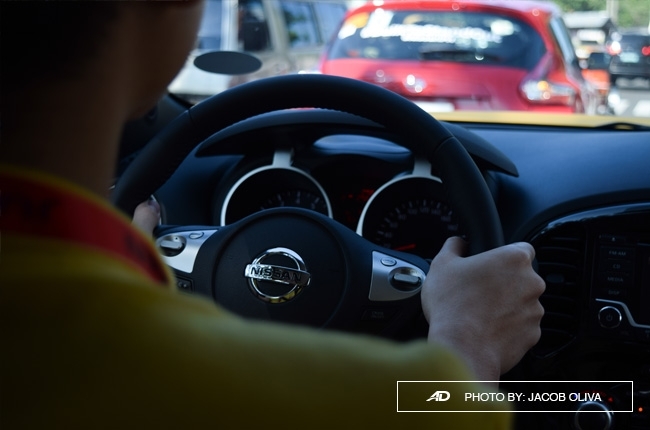 The Nissan Juke is designed to fit a dynamic lifestyle. 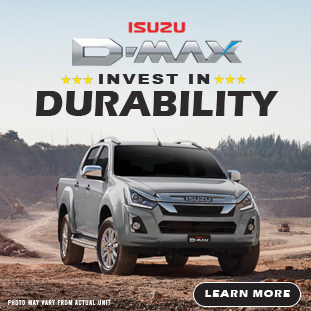 With its ease of driveability, immense cargo space, and overall comfort, it’s recommended for those who normally drive in the city on weekdays, but go out-of-town on weekends. It’s perfect for those who have this inner sense of wanderlust. 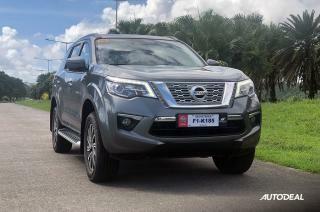 Although its price tag of P980,000 is a bit higher than its competition, its features and eccentric design makes it worthy of its value. 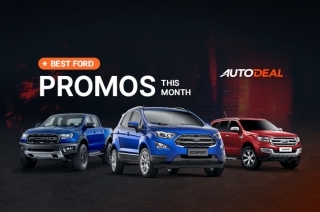 We just hope that you’re ready for all the attention that you’ll be getting. 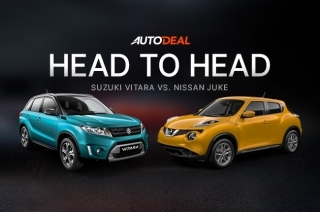 For more information about the Nissan Juke, visit the AutoDeal Car Guide.